The Flipper Uno, one of the dolphin spotting boats which departs from Los Gigantes twice daily made an unusual discovery on one of their trips recently. Erik Bos, one of the crew members of Flipper Ono, whose job it is to spots the dolphins and chat to the passengers about their daily lives and habits, noticed that one of the dolphins alongside the boat was acting in an unusual way. After a few moments of observation he noticed that she was giving birth as she followed the boat. Quick thinking he grabbed his camera and took a couple of shots before the boat changed course and left her in peace. 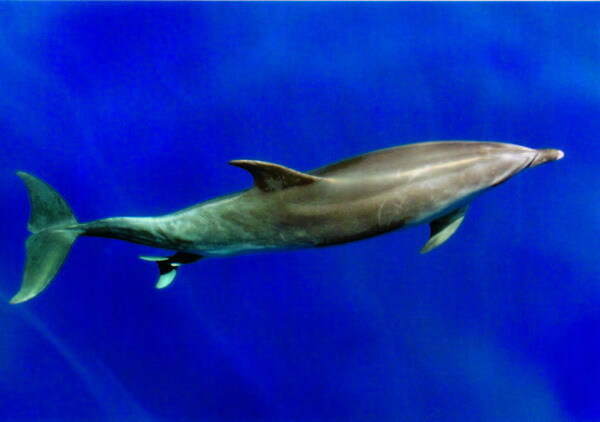 The boat’s captain, Jennifer Dubbelaar sent the photographs to a biologist who confirmed that as far as they were aware, they were the first recorded photographs of a dolphin giving birth in the wild.